Languedoc-Roussillon produces more wine than Bordeaux or Burgundy, and prices are distinctly lower than in these areas. But to wine enthusiasts, quality is more essential than quantity, and excellent wines have emerged from Languedoc-Roussillon in recent years. Luckily these remain far less pricy than the competitors from the big-name areas. Names to recall for Aude wines, in particular, include Corbières (www.20decorbieres.com), Fitou (www.fitouaoc.com), Limoux (www.limoux-aoc.com), Malepère (www.vins-malepere.com), and Minervois (www.leminervois.com). 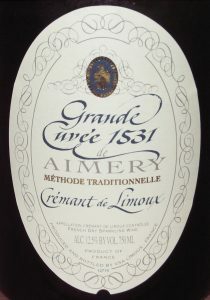 Whites range for a bubbly apéro (Blanquette or Crémant de Limoux), dry table wines to accompany fish or poultry (try the Picpoul de Pinet), to a sweet and rich dessert wine (Rivesaltes, Cartagène). Among the wineries where quality is taken seriously, some are only a short drive from Centre Les Labadous. You might start on Limoux wines right in Couiza, visiting Domaine Anne de Joyeuse or Domaine de Mayrac, or go and see Domaine de Baron’Arques in Saint Polycarpe. Local specialties include the Blanquette de Limoux and Crémant de Limoux, classic sparkling wines invented in 1531 by monks of St-Hilaire. They predate champagne and are essentially made from a local grape variety called Mauzac. If you venture a bit further, several outstanding wineries invite your visit. Examples in the Corbières include Domaine Gardiés, Domaine de la Cendrillon, or if you are happy to go further, see Alain Chabanon in Montpeyroux, or Béatrice and Sébas­tien Fillon on the Terrasses de Larzac. Consider also a visit to Terra Vinea for an adventure tour on historic wine making set in a large gallery inside an abandoned gypsum mine.